PC Optimum members earn 15 points per dollar at Shoppers Drug Mart and Pharmaprix. 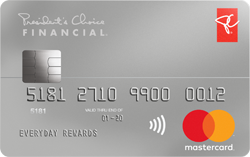 When you use your President’s Choice Financial Mastercard, you will earn an additional points 10 points per dollar. Earn 10 PC Optimum points for every $1 spent at almost 2,500 stores across the country. Please note: Credit approval and eligibility is subject to a number of factors in addition to credit score.